Before I drool all over myself, first let me just own up to you that I am a serious blade addict. This blade is milled with 1020 soft carbon steel with six five-gram tungsten weights in the heel and toe which give the putter a low and deep center of gravity. My favorite thing about the putter is the white line. This alignment aid really has a beautiful contrast drawn on the black putter head. It's like an all-black sports car with one solid white stripe going down the side. The only flaw I can find is there is there is no face insert on this putter. If you'd like to check out a similar putter with a great face insert, look at the Odyssey White Hot Tour #2 Putter. 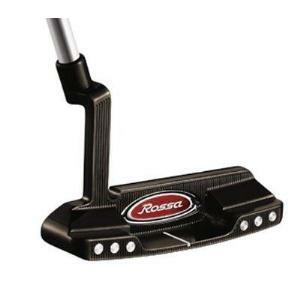 Also, If you specifically want a TaylorMade, you can find this similar design in the less expensive Rossa Core Classics Daytona 1 Putter.